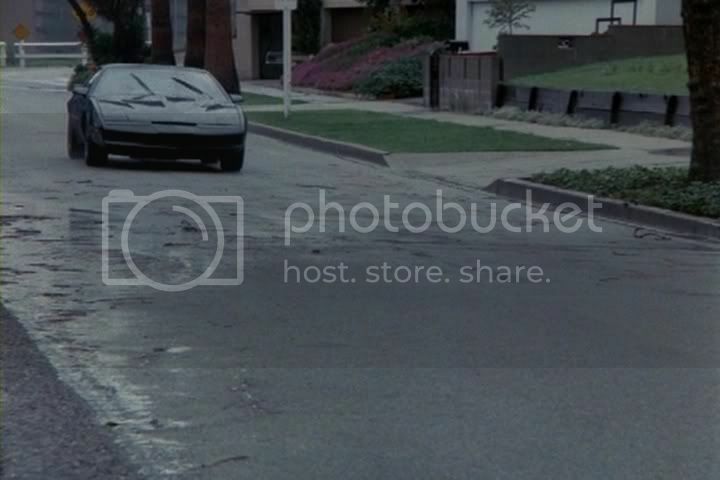 Alex wrote: Somebody can tell me if this house exists that says “House of The Rising Sun” in the episode Knight of Phoenix? I spotted the "House of the Rising Sun" in another show "Automan" produced by Glen Larson too! Unfortunately, the video quality was poor and automan was mostly filmed at night. 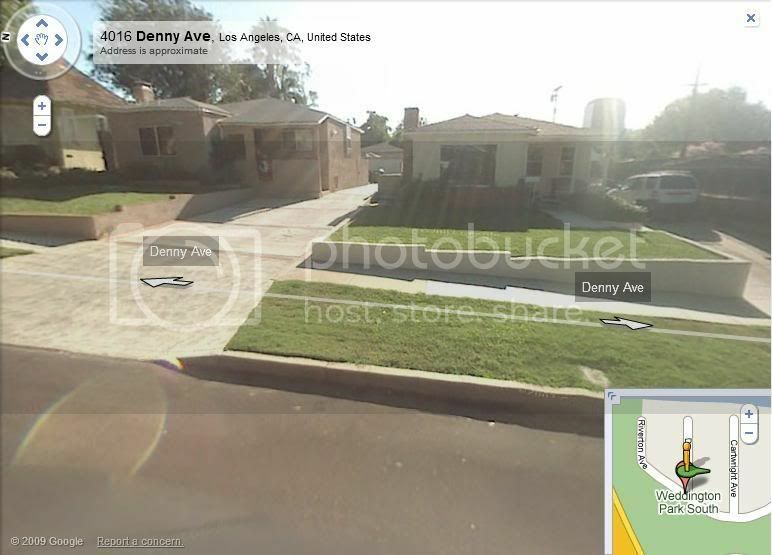 But this may provide another indirect lead to the location of "House of the Rising Sun"
Awesome! I've don a ton of research on this place (I posted way back in this thread somewhere) and on the whereabouts of it. You're right though, the video quality is horrible and since it was shot at night you can't make out any landmarks in the background. 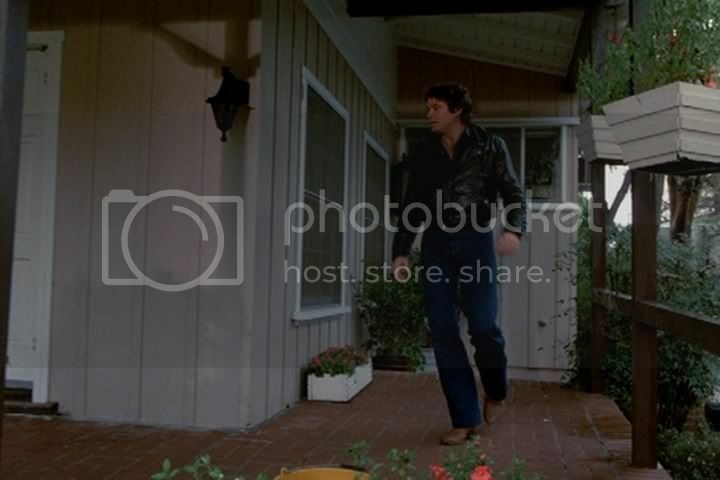 I wonder if the interior shots were done inside the place? It looks similar to the interior shots in KR. Word is that place is/was named "Cal Islands" and in Canyon Country/Santa Clarita. But looking at the footage you found that sign hanging off the top of the peak looked like it said "Something Club". Very hard to make out. Oddly enough the angles they filmed from for Automan at this location are almost identical to those used in KR, so once again, you can't make out much that you don't already see in KR. 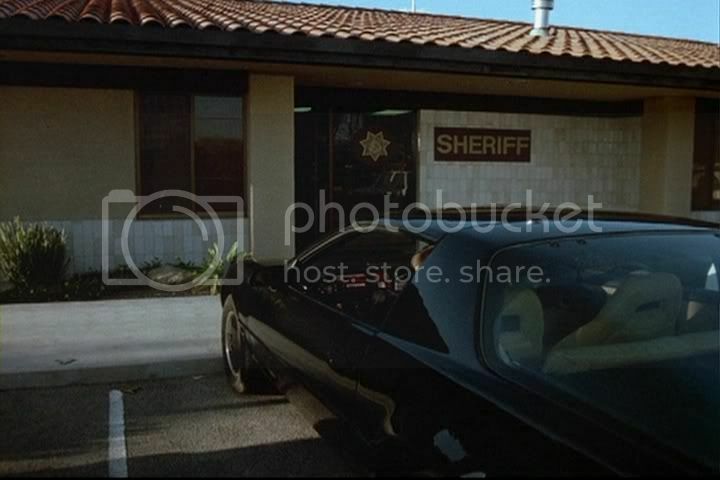 Just noticed - this location was also used as the police station in "Ten Wheel Trouble"! I'm not going to let this thread die! Agreed Joe, how about adding KR08 locations to this thread? Just to add a breeze of fresh air? This one has a started (sort of) a KR08 location. For those of you going to the Knight Rider: Festival. Here are coordinates for locations to check out. Take I-15 South to Blue Diamond Road (NV-160). Take Blue Diamond Road (NV-160) West 10.5 miles. Turn right onto (NV-159) toward Red Rock Canyon. Go 1.8 miles to ZZ Red Rock. The yellow gate is an entrance to the Blue Diamond Mine. I stopped here on December 26 & 28, 2008. 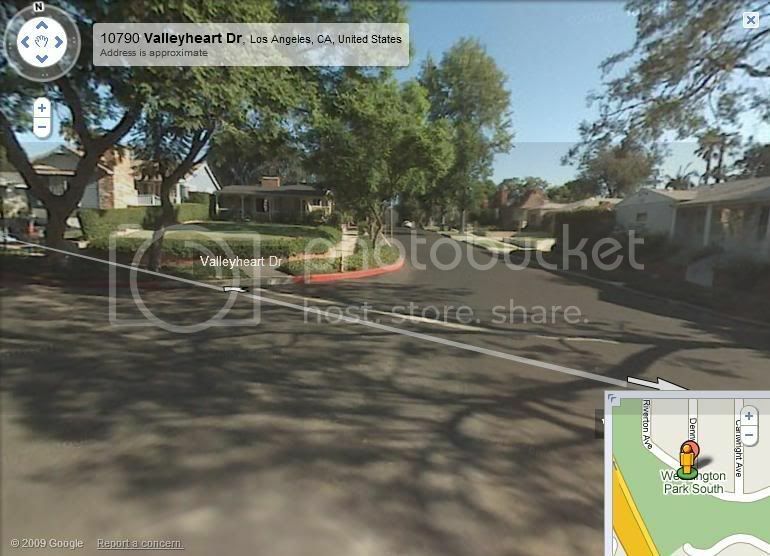 You can take NV-159 Charleston Blvd back to Downtown Las Vegas. About 4-5 hours of driving to Valley of Fire and back to Las Vegas. Likely place for the preparation area to attack on "Red Bluff"
Difficult to get to by freeway. There may be some people at the festival who can verify the location used for "Dry Lake" in the episode. In the episode, you can see the "Valley of Fire State Park" Sign. The gate to "Red Bluff"
Look north to see where Michael and KITT pull up to fence. Look east to see "Red Bluff." Entering from the east and west entrances at the same time? Enjoy the Knight Rider: Festival! so this has been on my mind for awhile..
at the beginning of 'a nice indecent little town' there's a widshot of the city that looks eerily similar to the city i live in. now, i figured it'd be stock footage, or something.. and i didn't think it was, but there were landmarks that i could pick out that could possibly match. i hope i got the episode right, though, with what i'm thinking of. 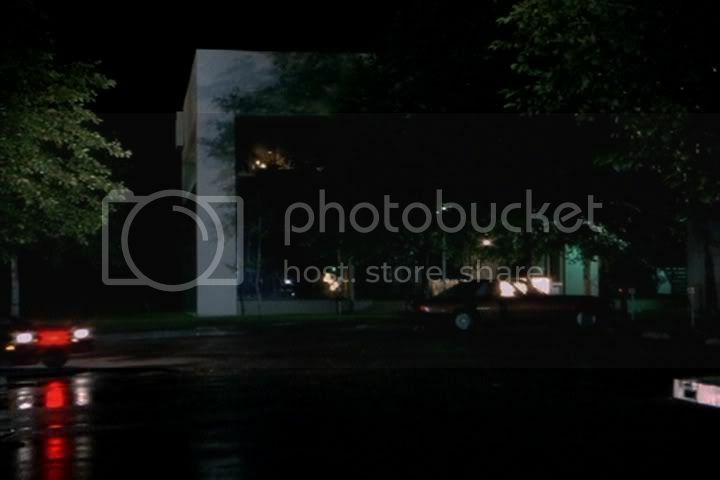 i know the episode wasn't shot here, just wondering about the opening shot. here is a shot that's similar to what i saw on the show, and hopefully that'll jog some memories. i couldnt find a shot of the exact angle they had in the show but i got a few. This is what I get for predominately being a replica forum poster, I miss threads like this one! Although I have been looking here more often now, but never as much as I used to. 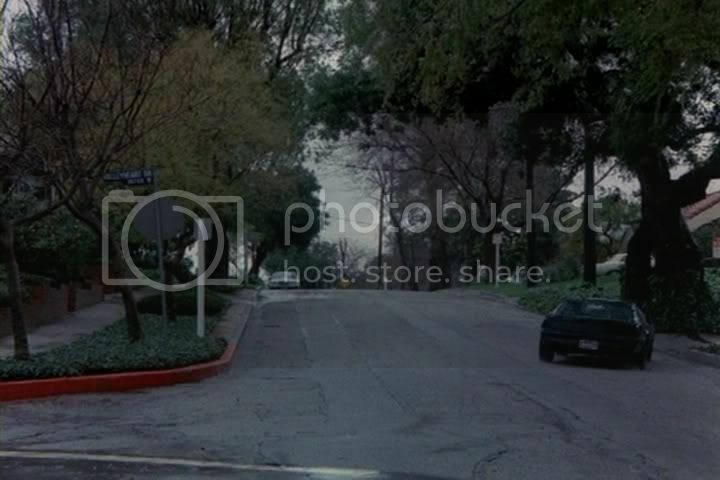 I recognize a lot of these places since I lived in Los Angeles for 10 years. Wish I would have seen this sooner, I could have helped Sue track down some places and take some pictures with her, or at least on my own. I was still there up until July of last year. A lot of these places that you guys have now solved I would have known about right off the bat...oh well. 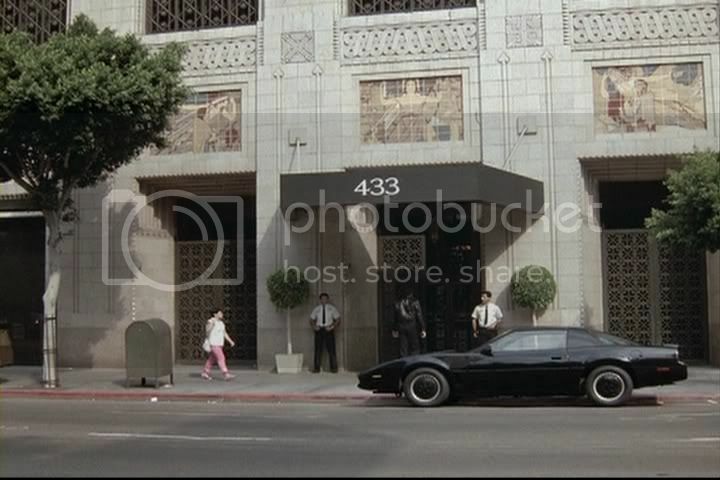 Not to mention a lot of places I'd drive by on a regular basis too, driving around LA you start to notice where a lot of shows and movies not just Knight Rider were filmed. When there wasn't going to be a Knight Nationals in '07 I was thinking about putting on a Knight Rider Poker Run that passed through several KR locations. I had even contacted Joe about a few locations he could help out with and I remember telling him about the Citadel outlets, I remember it being in an episode, but couldn't put my finger on it. At the time he couldn't remember what episode either. Maybe it's something I can still do in the future. I'll keep an eye on this thread, I may be able to help. 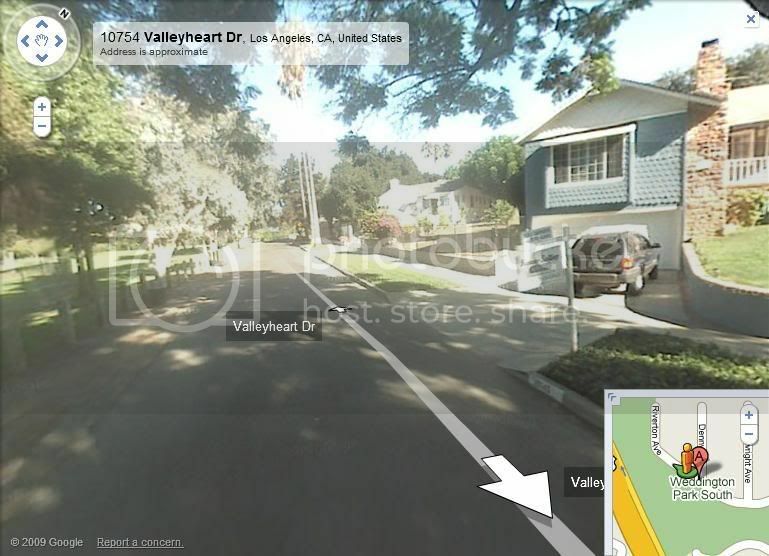 Awesome... Joe, have you been keeping track of all of these locations in Google Earth with placeholders? I'd like to see in one shot where all the filming took place across the city. Well I started to but ran out of time. One rainy day I'll add the rest in...but obviously the largest chunk of them are Southern CA! So with the market the way it is these days (crappy), I decided to look up my home on Zillow.com and see how accurate it was. It seems to be pretty accurate in terms of value for my area. Then I got the wild idea to look up some of the KR filming locations. 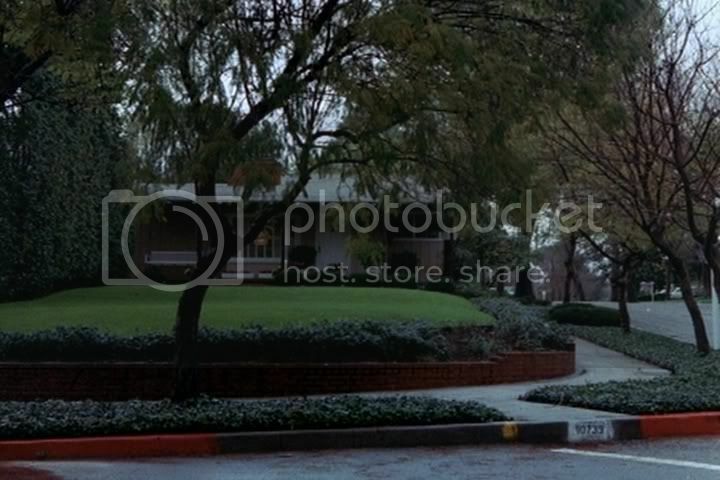 Check this out, Zillow says the FLAG mansion on Arden Rd. 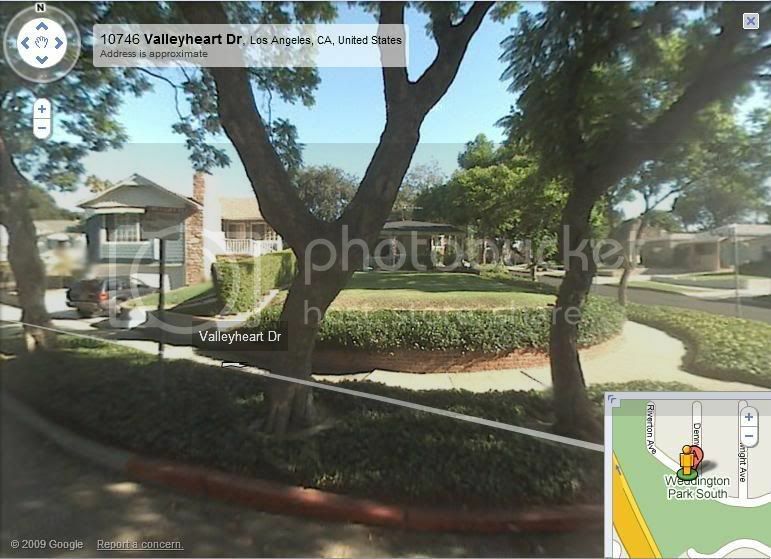 in Pasadena is worth $6.5 million. Crazy! It even estimates the monthly payments for the place at over $31k a MONTH. Wicked. Wish I had that kind of loot. Sue wrote: Now I'm thinking this lower structure is the same building, but the roof has been extended over the porch. This is the only house in the area to be so low to the beach. It appears as though the beach has been eroded away since then and they have added these rocks to try to prevent that. If anybody has MacGyver, Season One, you'll see this place in Episode 10 titled "Target MacGyver." anyone know where mine is? Dying to find this place too! 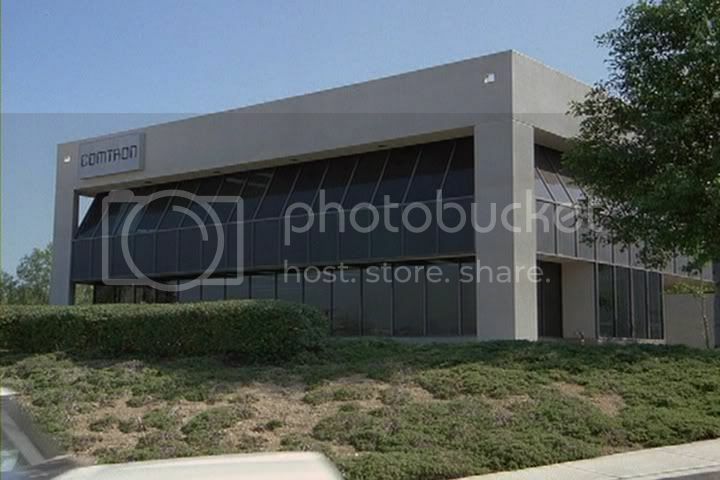 I was looking in Santa Clarita for the "home base" of the Knight Rider 2008 series, based on the photo posted on the Knight Writers blog on NBC, and I found a building that had an "L" shape in Santa Clarita, and I realized that since much of that episode was filmed in that city, it would be a logical place to start. Keep in mind that the building has an L shape to it, that goes off to the right if you're looking head-on at the building. Unfortunately, unless the building I found underwent some serious face lifts, it was similar but not similar enough to be Comtron. 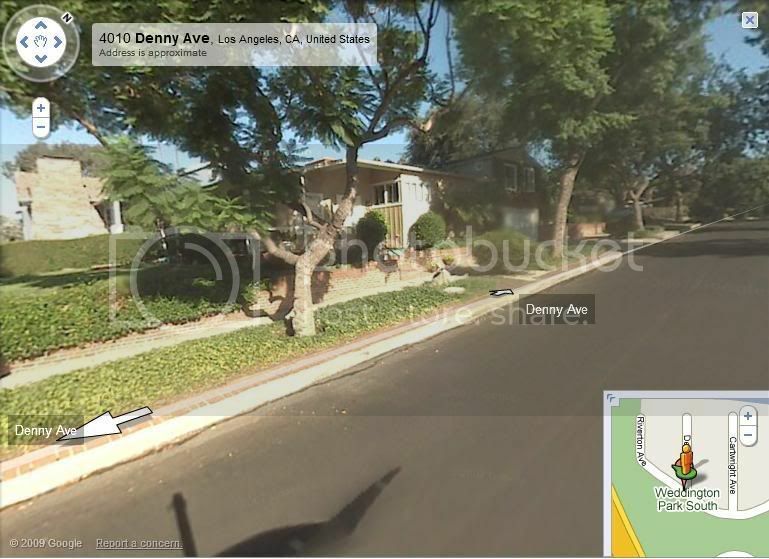 Here's the picture from Googlemaps, but, as I said, I think it's probably not the right location. Boy, I don't know...that location sure "feels" right...and there's a lot of other buildings around it that look similar...could be it. P.S. Ask Larson about this at the KR Festival! Ask him about the House of the Rising Sun too...who knows, he may remember. You may be on to something with the Santa Clarita theme. However I'm not too sure if this is it. I don't have the episode handy, but I remember the Comtron place being more like TWO buildings. The cube-shaped building on the left, and the one off to the right behind it. I think I remember there being actual space between the two of them. On the other hand, a lot can happen in 25+ years, so until we find a better match - this certainly could be it. 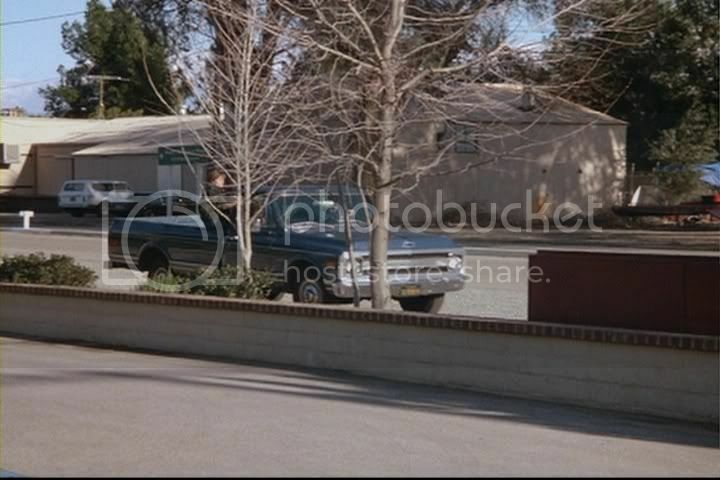 I also recall the towtruck entering the Comtron lot, and seeing what looked like a big field or golf course behind it. This would also be fitting for this particular area you found. 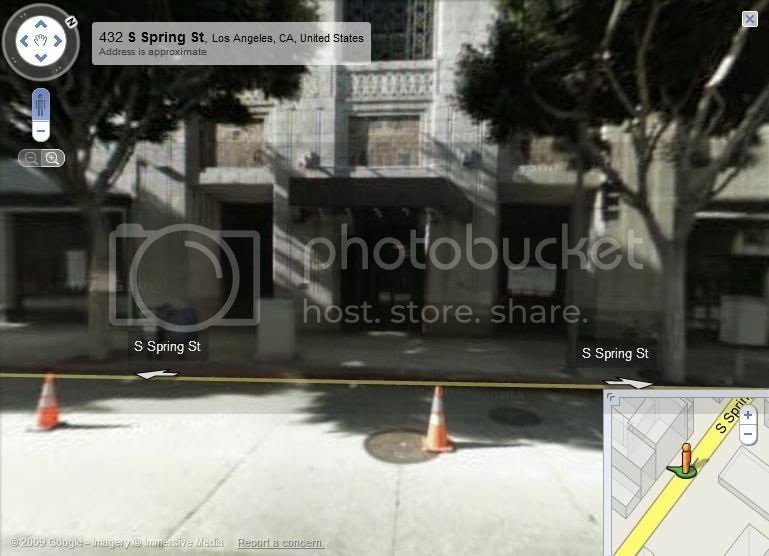 I'll see if I can find a pic of the building from the episode. After digging up KOTP and looking at this scene I noticed something - but it really could be nothing (if that makes any sense!). 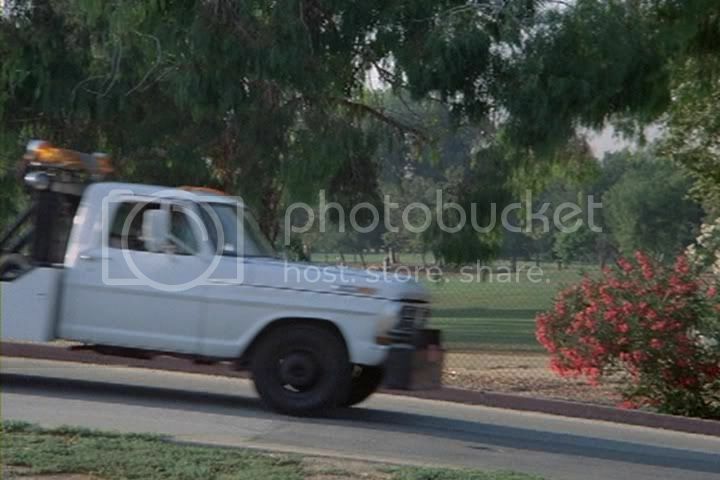 Joe, in the first image we see the green field/golf course and a totally blank white tow truck. In the second image (even though it can't be seen in this shot, you'd need to advance a few more frames), you can see a name on the side of the tow truck - I think it's "Skippys Towing". That means between image one and two we have a jumpcut and possibly a change of locations. So the Comtron building and the golf course may not even be side by side or near each other for that matter. 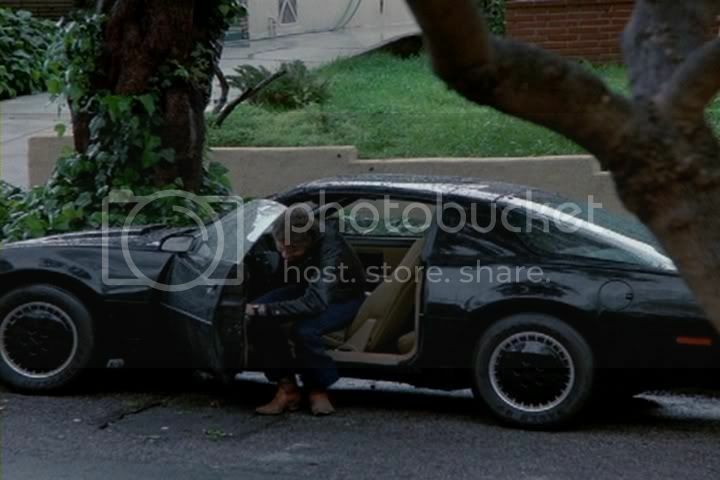 Then again, it doesn't make much sense to do a sequence with KITT being towed for two seconds in one location and then another. I still feel like they are close to one another. Possibly something more for the Comtron building(s). In the image below the ladies are seen walking from Comtron to the House of the Rising Sun. Through research, I don't believe the House of the Rising Sun is actually across the street from Comtron. However, the scene below shows a guard shack and gate, and behind it, the top of a building. Several feet below the top of the building you can see a thin horizontal stripe. This same stripe can be seen a little later in the episode when filming at Comtron. Just something more to go on - perhaps the guard shack surroundings will jog someone's memory, or maybe the mountains in the background can help us zero in on a certain region. the other shots of comtron don't seem to have a stripe though. maybe they just stuck the comtron sign there for the shot.